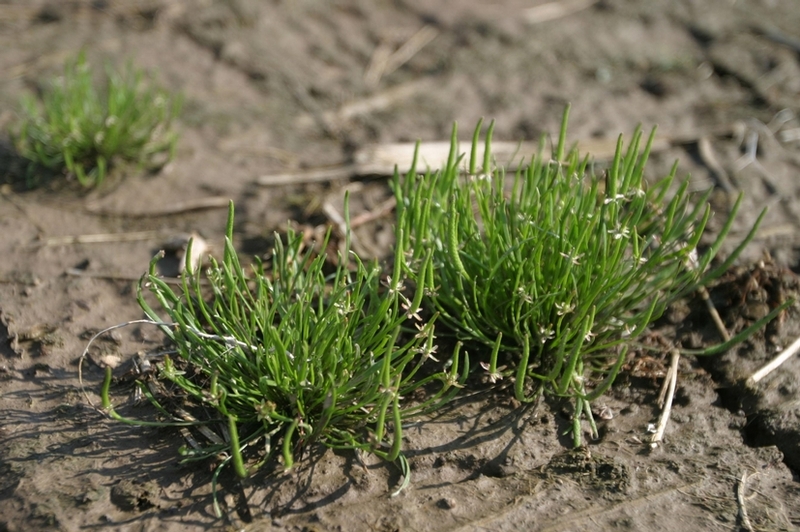 A cool-season annual capable of growing 20cm in lenght. 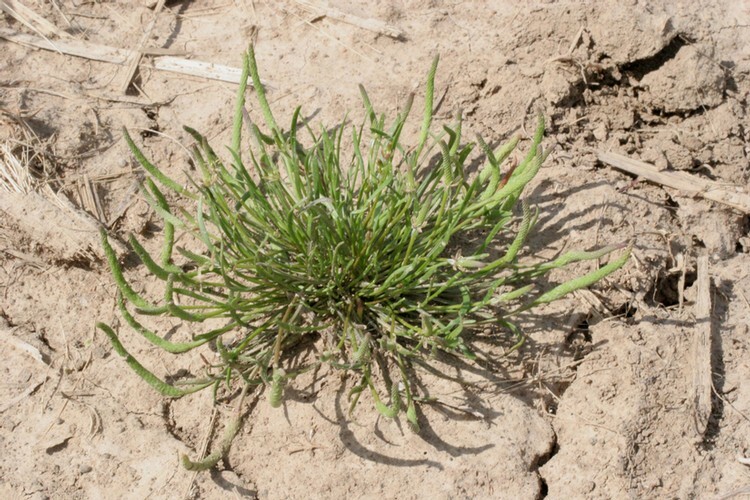 Mousetail is native to North America, desires moist marsh areas and, no-till settings. 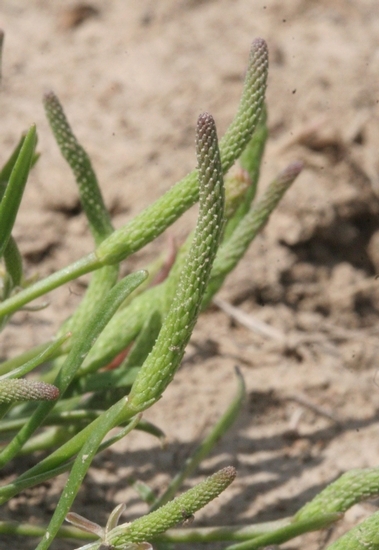 Flowers are on a compressed spike with 100 plus carpels that resemble a mouse's tail. Spatulate or linear, very thin measuring 0.5-2.2mm in width and 2-15cm in length, and entire margins. 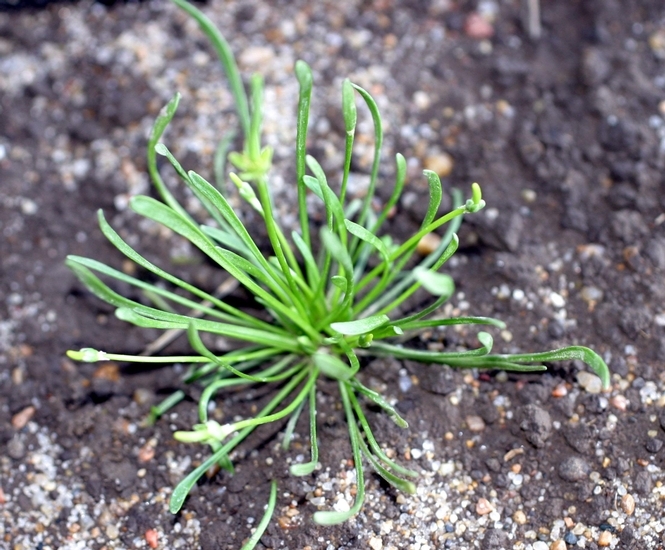 No stems are present, branches holding the seedhead measure 2-20cm in lenght and have no hairs. Five white to yellow colored petals that quickly senesce. Carpels are in great numbers and emerge from an elongated spike, are inconspicuous, and symmetrical. Fibrous root system from a thin taproot. A compressed spike with 100 plus carpels which resemble a mouse's tail. 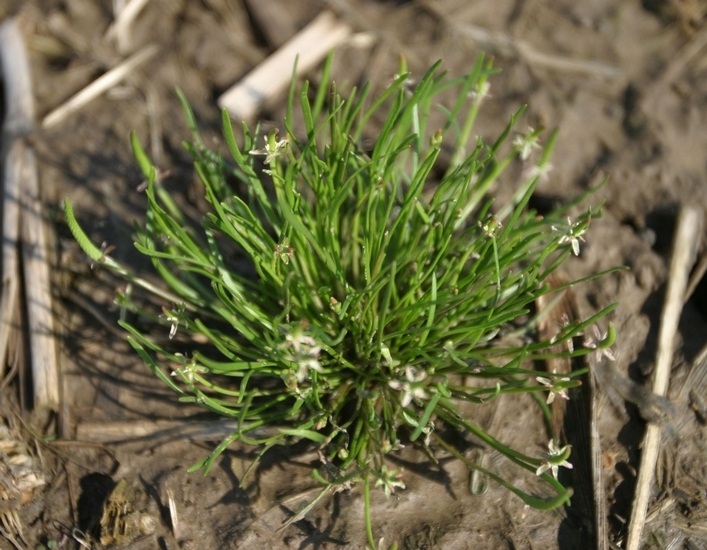 Commonly found in no-tilled soils , near marshes or open water. 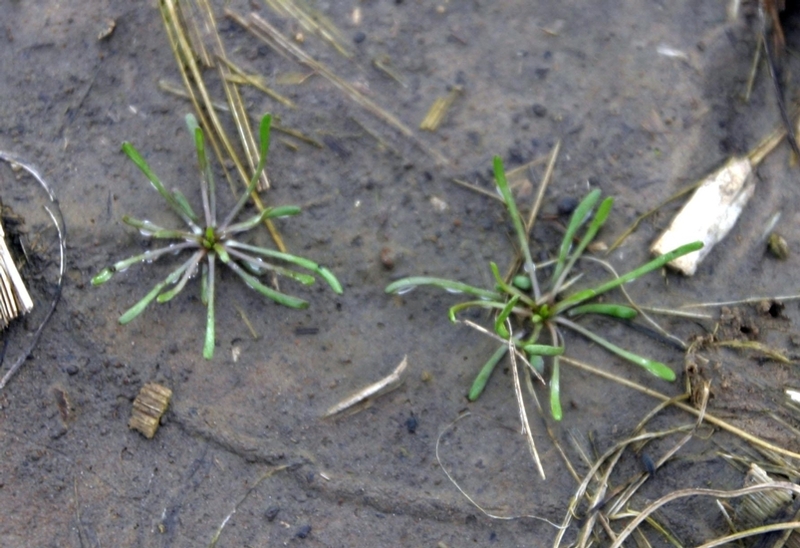 Leaves are blunt at the tip and quite thin measuring 0.5-2.2mm in width.